Which heirs would be exempt from Inheritance Tax? What happens with other family members who inherit? What happens if you inherit from your best friend? How are property values calculated for Inheritance Tax? 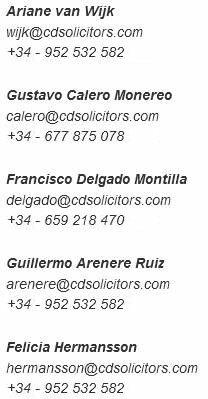 What happens to common-law partners registerd in Andalucia? What happens to common-law partners registered in another Member State of the European Union? 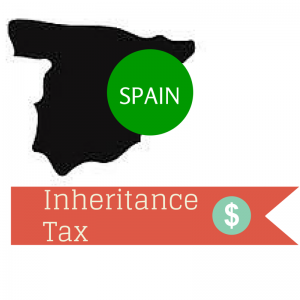 On 1 January 2018, a new reform of Inheritance Tax entered into force in Andalusia, the main change of which was to raise the tax-exempt amount to one million euros. This new reform changes the reform introduced a year ago, which we explained in our post of November 2016. All other heirs, such as siblings, nephews, nieces, uncles, aunts and cousins of the deceased are included in groups III and IV of the Inheritance Tax and will continue to pay the same amounts. In other words, these heirs will pay inheritance tax from the first euro they inherit except for heirs in group III, who are able to deduct an amount of 7,993.46 euros. This means, for example, that if John leaves his nephew his Nerja property valued at 240,000 euros as inheritance, his nephew will have to pay about 63,000 euros in Inheritance Tax. You would be included in group IV of this regulation. This means that if John, instead of leaving the 240,000-euro property to his nephew leaves it to his best friend, he or she will have to pay about 80,000 euros in Inheritance Tax. Every year, the Regional Government of Andalusia publishes a regulation that establishes certain coefficients to update the values of urban properties located in Andalusia. These coefficients are applied to the cadastral value of the property; this you can find in your Property Tax receipts. The result of applying these coefficients to the cadastral value is what we call the minimum taxable value. The regulation explained above deals with the minimum taxable value of urban property but, in the case of rural property, this isn´t applicable. Therefore it is necessary to obtain a valuation from the technicians of the Regional Government of Andalusia to calculate the minimum taxable value. However, the Regional Government of Andalusia in the province of Malaga uses the coefficients published every year by the College of Architects of Malaga to calculate the value of rural properties. Regarding the means used by the administration to calculate the minimum taxable value of properties in Andalusia –as well as other Autonomous Communities–, there is much controversy in general and there is the possibility to challenge those values in the event that the person liable to pay the tax deems them excessive or not adjusted to reality. This topic is complex enough to be covered in a whole new article. In the event that a couple is not married –either in their country of origin or in Spain–, if one of them dies and leaves the other member of the couple as an heir, for the purposes of Inheritance Tax this person would be considered to be in group IV. In other words, in this case the partner is considered to be just a friend putting the person in the group with the highest rate of Inheritance Tax. In Andalusia, couples registered in the Registry of Common-Law Partners of Andalusia are equivalent to married couples for the purposes of Inheritance Tax, for which reason they would benefit from the deductions for spouses explained above. In this case, the Regional Government of Andalusia does not recognise such registration for the purpose of Inheritance Tax, for which reason those couples would pay tax as though they had received inheritance from a friend, leaving them in the group taxed at the highest rate. If John leaves his partner Mark 50% of the property they both purchased in Almuñecar in 2005 and if the fiscal value of that 50% is 120,000 euros, Mark, the heir, would have to pay about 30,000 euros in Inheritance Tax for inheriting 50% of that property. If John and Mark had been married or registered in the registry of common-law partners of Andalusia, Mark would not pay a single euro for inheriting 50% of the property from John. If you have property in Spain with your partner and you would like him or her to inherit your part and you are unmarried, we advise that you get married (either in Spain or in your country of origin) so that you can benefit from Inheritance Tax reductions. Those who don´t want to get married, can register themselves in the Registry of Common-Law Partners of Andalusia (Registro de Pareja de Hecho) and then the status would be equivalent to that of a married couple. In this case, heirs may not benefit from reductions for spouses, children, grandchildren and parents of the deceased, so they would pay Inheritance Tax in the event that they inherit. They can only avoid this if both the deceased and the heir are resident in Andalusia.